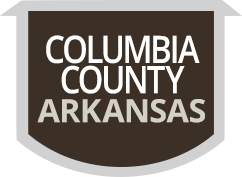 Property Fraud Alert is now available for Columbia County. Citizens may go to https://pfa.fidlar.com/ARcolumbia, it is simple to use. If property is in your name and is being sold or changed in any way, you will be alerted by email or by phone alert. Recording deeds, deeds of trust, mortgages, release deeds, powers of attorney, plats, oil & gas, contracts, survey plats, notary bonds, foreign judgments, writs of execution, writs of garnishment, materialmen's liens, and other recordable documents. $15.00 for one (1) page, one (1) side only, and $5.00 for each additional page. For recording mortgage assignments, mortgage releases, oil & gas assignments and other instruments when multiple instruments are listed in a single document, an additional fee of $15.00 per instrument listed not to exceed $300.00 shall be charged. $8.00 for filing or recording a certificate of assessment. All legal-size documents are an additional fee of $25.00. In-house copy fees, if you make your own copies, the charge is $0.50. If we make your copies, the fee is $1.00. Margins: 2 1/2" margin at top of first page, at least 1/2" margin on sides and bottoms of all other pages. All documents shall be acknowledged in accordance with section 16-47-207. All documents must be legible to be accepted. The name and address of person who, and the governmental agency, if any, which prepared the instrument must appear on the first page; the name is either printed, typewritten, or stamped in a legible manner. Fees for recording must be tendered before document is recorded. "I certify under penalty of false swearing that documentary stamps or a documentary symbol in the legally correct amount has been placed on this instruments." Grantee or Agent for Grantee must sign statement. Documentary stamps are available at the Arkansas State Revenue Office and must be placed on the document and must be legible. Documentary Stamps are $3.30 per thousand dollars as pertains to the purchase price of the property. For the property tax affidavit or affidavit of compliance form that is required by all property transfers, please visit this website. Columbia County is electronically recording (eRecording) land records. Documents that originate on paper, such as loan closing documents, are scanned and placed into their proper recording order. When fully integrated, the electronic document recording process takes only seconds.